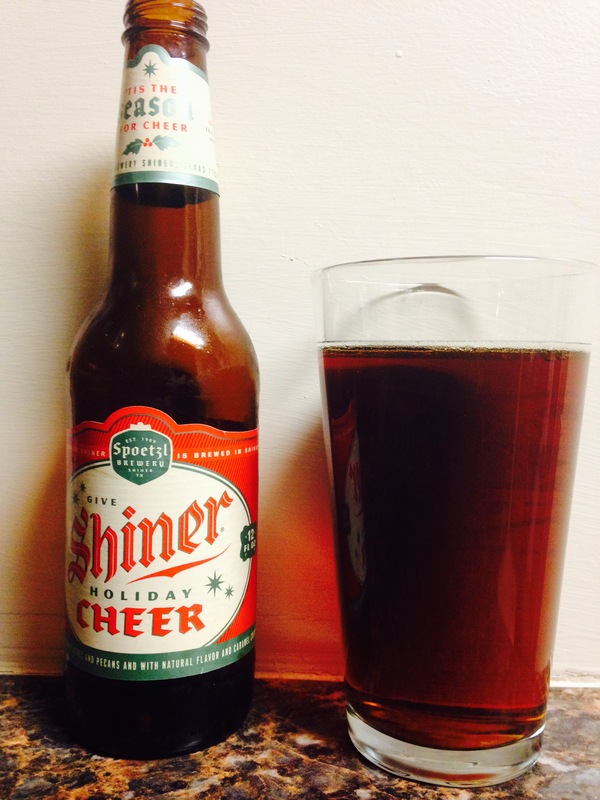 Spoetzl brewery from Shiner, TX gives us “Shiner Holiday Cheer”! This is a delicious beer! Have to say that up front! The color is a medium dark, the smell is pleasant with a hint of pecan. The taste is light but not too light and sprinkled with peaches! It has a 5.4% alc content. Not your normal Christmas flavor however, it is suprisingly fruity but still makes you think of Christmas! It’s weird actually! But amazeballs! We give this 4.5 stars! We are planning on getting more of this!